– Contouring at the bottom makes Radar EV Path a good choice if performance-sized lenses sometimes touch your cheeks. The lens shape also enhances performance by extending the upper field of view. – A new milestone in the heritage of performance, Radar® EV takes the breakthroughs of a revolutionary design even further with a taller lens that extends the upper field of view. – Even the best aerodynamics won’t matter if you’re overheating and distracted by sweat, so Radar EV is engineered for ventilation that assists evaporative cooling while keeping airflow away from your eyes. – From the comfort and protection of its lightweight yet durable O Matter® frame material to the sure grip of its Unobtainium® components, this premium design builds on the legacy of Radar innovation and style. – UNOBTAINIUM®: Unobtanium® earsocks and nosepads keep glasses in place, increasing grip despite perspiration. – O-MATTER™: O-Matter™ stress-resistant frame material is both lightweight and durable for all-day comfort and protection. – PRIZM™: Prizm™ is a revolution in lens optics built on decades of color science research. 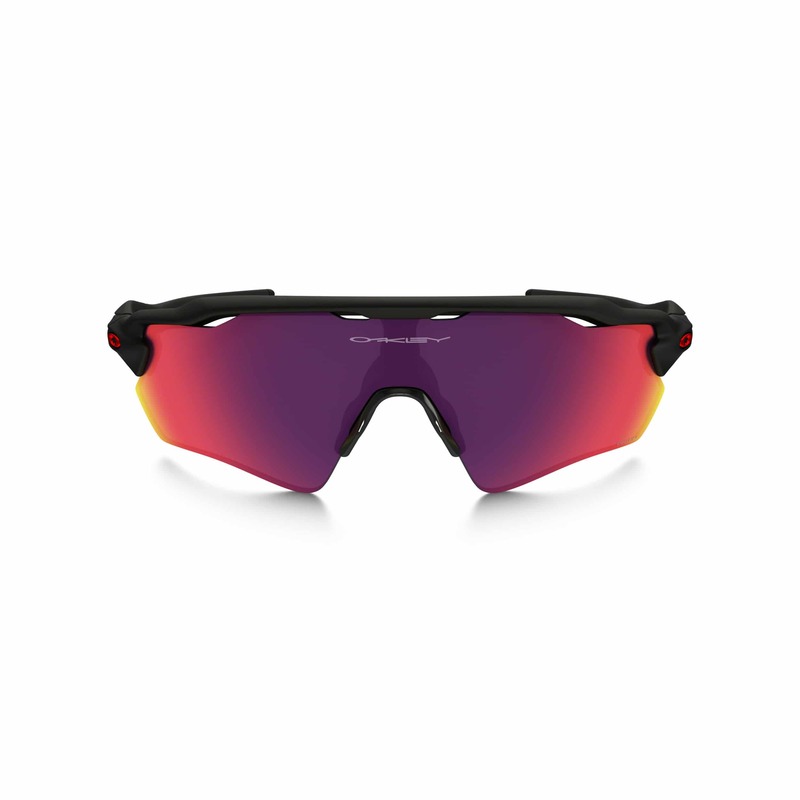 Prizm™ lenses provide unprecedented control of light transmission resulting in colors precisely tuned to maximize contrast and enhance visibility. – IMPACT PROTECTION: Backed by decades of innovation, Oakley performance eyewear offers uncompromising protection against high-velocity and high-mass impact. The protection is a benefit of the premium materials and unique architectures of Oakley lens/frame combinations. – HIGH DEFINITION OPTICS®: High Definition Optics® (HDO®) is a collection of patented technologies that allow Oakley eyewear to meet or exceed the testing standards of the American National Standards Institute for optical clarity, visual fidelity, and impact resistance. – UV PROTECTION: Eye damage attributed to ultraviolet light includes cataracts, pterygium and macular degeneration. Our Plutonite® lens material filters out 100% of all UVA, UVB, UVC and harmful blue light up to 400nm. The protection is from the lens material itself.